The Trump administration has not filled dozens of key scientific posts. This includes senior positions at the National Science Foundation, the Department of Energy and most notably, a science advisory job in the White House. Many are asking why Trump is not naming a science advisor when every president since Eisenhower has considered this to be an important positiion. The Science advisor is charged with giving the president scientific and technical advice in areas of national concern. If there was ever a president in need of a science advisor it is the current commander and chief. While almost everything Trump does is a source of concern, his failure to hire a science advisor is especially worrisome. The vacancy effectively deprives the White House of a much needed voice of reason. Having an adult in the room is particularly important when you consider the erratic behavior and the irrational decisions of the man that occupies the Oval Office. 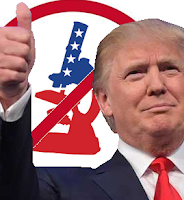 "There’s little room for doubt that the Trump administration’s priorities do not include science and technology, in sharp contrast with every president, Republican or Democrat, since World War II," Neal Lane, was quoted as saying in a Washington Post article. Lane is a physicist at Rice University and he was Bill Clinton’s second science adviser. Trump does not want someone to advise him on science because he does not want the facts to interfere with his irrationality. The Trump administration - like most Repbulican legislators - despise science because serious research commonly refutes their policy positions. Trump's failure to nominate a science advisor may also be driven by the fact that so few scientists would consider working for such an irrational regime. This is the view of Zuoyue Wang, a historian of science at California State Polytechnic University in Pomona. Wang pointed to a "deep divide between the American scientific community and the Trump campaign/administration over key issues, including climate change." As a consequence most of America's leading scientists would not want to work with the current administration. The Trump administration and the GOP eschews science for personal and political gain just as they ignore the fact that trickle down economics do not work. The administration is now free to craft their own narrative unfettered by the truth. The failure to nominate a science advisor effectively ensures that Trump's decisions remain untehered to reason and unencombered by reality.